Our spring bear hunts start April 15th and ends June 15th. 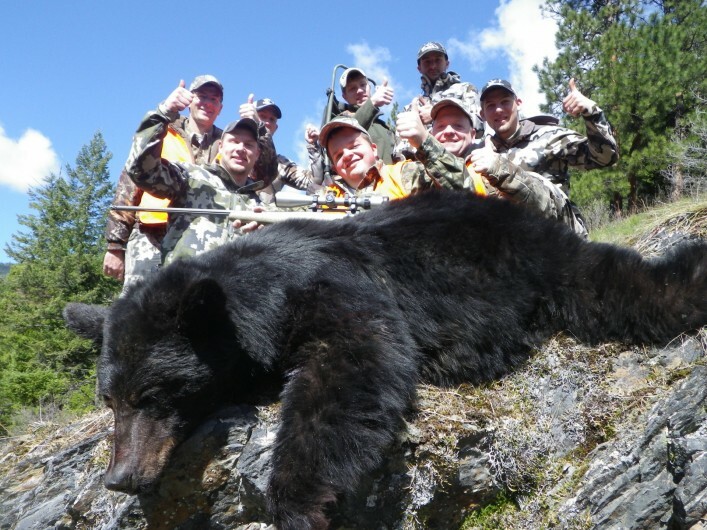 We truly have the best bear hunting in the state of Montana. With every variation of color-phase black bears (brown, cinnamon, chocolate, brown, blonde and red) it is a great opportunity to harvest a truly amazing black bear. We take pride in harvesting older age class bears that are true trophies. Our method of hunting is glassing clear cuts, south facing slopes, clover covered logging roads that are gated, and calling. During a spring bear you can expect to see many bears depending on the weather as our area has a very high concentration of black bears. Our fall bear hunts start in September and run through November. Early in the fall season the black bears are filling their bellies on the last remaining berry crop in preparation of the upcoming hibernation they will soon be faced with. We glass and use the spot and stalk method at this time of the year. The bears can be seen this time of the year at all times of the day. During the fall bear season hunters can add elk and deer to their bear hunt. We are fortunate to have all color phases of black bear in our area. There are black, brown, cinnamon, blond, and black with a white diamond on the chest. This area has one of the highest color-phase ratings in the state. We also border a giant indian reservation that promotes an endless supply of older age class bears. "I john Ellis felt that everything was perfect. By the end of the hunt I didn’t want to leave, it really felt like it was home away from home. Everybody there is extremely friendly. 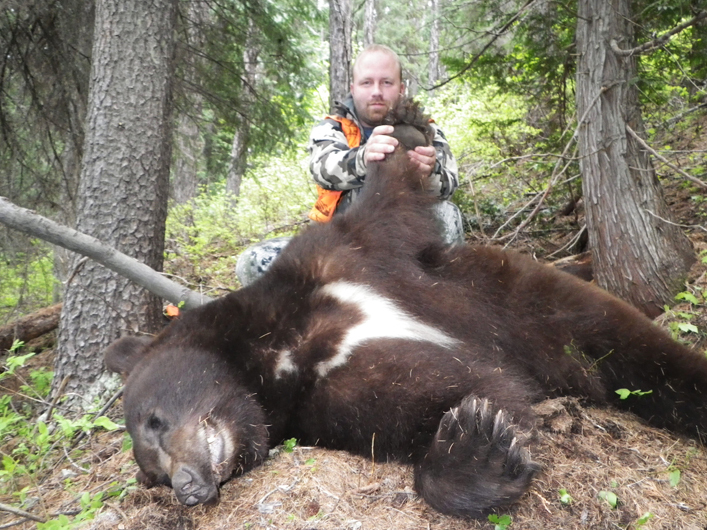 I will definitely be back and already booked a bear hunt for next year."